Size: approx. 2-3 mm. Photo: 07/03/16, 11 pm. 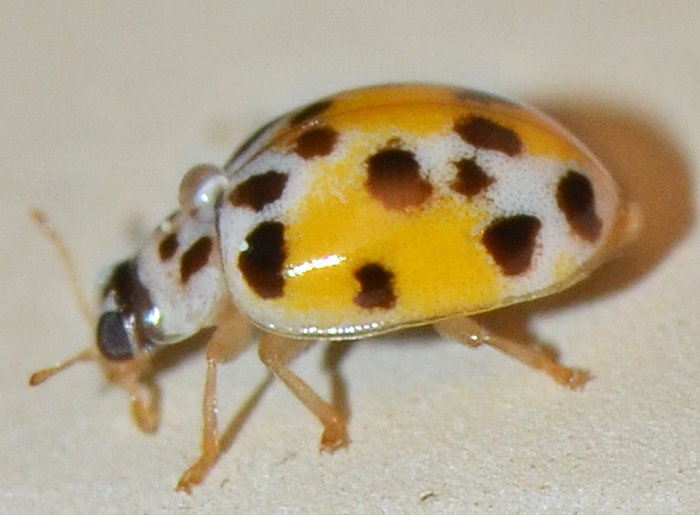 The genus Psyllobora (Fungus-eating Lady Beetles) has seven species in the US, of which four occur in Florida but only two are likely to be found in North Florida. 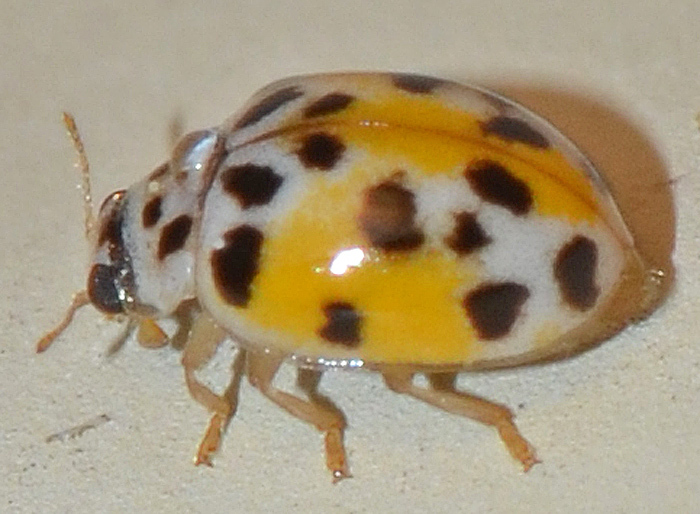 I'm curious whether this one is the Twenty-spotted Lady Beetle, because it should not exist in Florida. The small photo shows the same specimen.